On Saturday, 31st July 2004, BRAG attended the Funday that was part of the ‘Soul in the City’ programme for London. 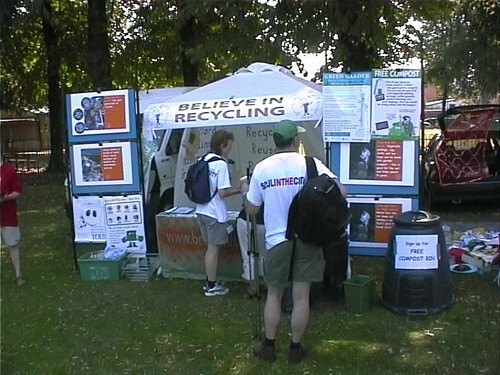 The BRAG stall, with the theme ‘Believe in Recycling’, was well attended, with great interest shown in both the composter and a working wormery. The Vicars of St. Faith’s and St. Paul’s were shown the private life of composter tiger worms and survived the experience. Diana Leap’s ‘Art from Rubbish’ project, running in tandem with the BRAG stall, enabled many children (young and old) to make things from ‘waste’ articles. This entry was posted in Events and tagged composter, stall, wormery. Bookmark the permalink.